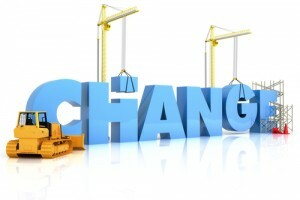 Change is a constant in almost every business or organization. Leaders are typically the ones who initiate and implement change. Thus, an understanding of the importance of change leadership is critical for an effective leader. 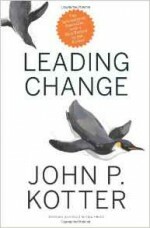 The leader must know what changes are necessary and why; determine how to communicate the change; and manage the transition and unintended consequences of change. The most effective leaders are those who understand that change is a process and must be lead in the most purposeful manner. Change leadership involves others and leaders must address how the change will be communicated to insure the desired response. 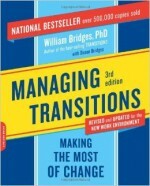 Many changes are difficult and the leader must lead those affected by the change through the transition phase. If a leader is excellent in creating change ideas to benefit the organization, plans a change well, communicates it effectively, and helps team members through the transition, the organization will benefit. The leader will be respected and their credibility will grow. Leaders should also be supportive of changes that come down from senior leaders, although they may need to seek clarification on the purpose and anticipated outcomes of the change. When considering change, ensure that a business case is developed and assessed before planning and implementing a change. Don’t change just for change’s sake. The business case should evaluate the effects of the change in both the short term and long term. Understand that once a change is implemented, team members will enter the transition phase. 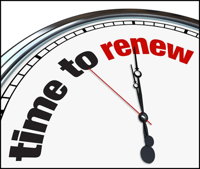 The change plan should address how you will lead the team through the transition to the new state. If you are asked to implement a change that came from senior leadership, understand the rationale for the change and communicate it to your team within the boundaries of discretion. Do not, as a leader, question the change or disagree with it in front of team members; express your concerns to senior leaders. Be determined to improve your change leadership skills and behaviors. 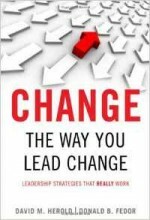 Take the short change leadership self-assessment on this page to identify where to improve your change leadership skills and behaviors. Then, get more coaches’ recommendations in Chapter 26 of The Leadership Compass: Mapping Your Leadership Direction to help you fine-tune your change leadership skills and behaviors. Measure your change leadership skills and behaviors! When answering the questions, consider how others might evaluate your change leadership. Congratulations, you have completed the Change Leadership Self-Assessment. As you review your results, focus on your 2 or 3 lowest scores (1 & 2). Learn more about change leadership and get the coaches’ recommendations in Chapter 26 of The Leadership Compass: Mapping Your Leadership Direction book to improve your change leadership skills. I effectively plan self-initiated changes. I work to gain clarity on changes driven from higher or external sources. I understand that change affects many things, including processes, people, and outcomes. I effectively plan the implementation of changes that come from other sources. I effectively communicate the vision and strategy of a change to team members and other stakeholders, including reason, expectations, and anticipated results. I display a positive attitude toward change when communicating with the team and other stakeholders. I evaluate the business case for a change prior to planning and implementing. I work to lead team members successfully through each phase of the transition. I clearly answer questions about change from team members and stakeholders. I coach team members who are having difficulty through a transition.